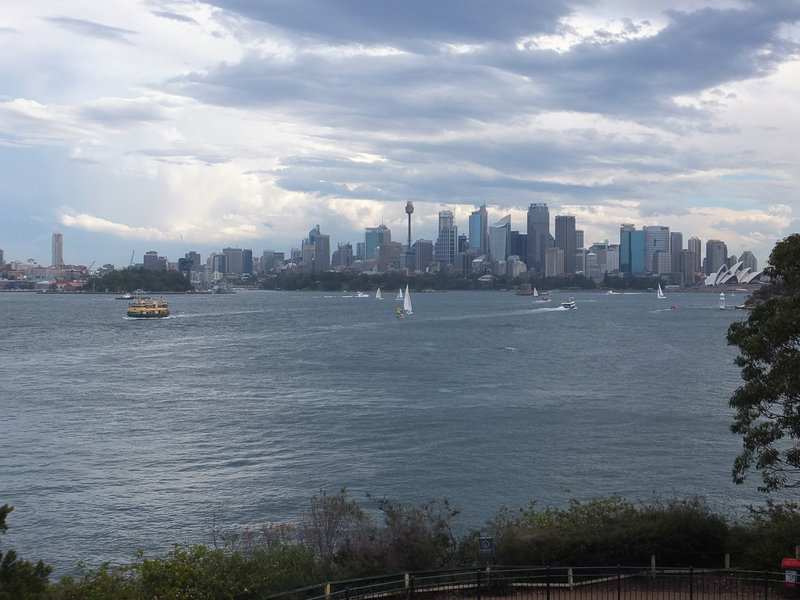 Now, I’ve been to all the big zoo’s up the eastern coast of Australia & even though I have been to the Taronga Zoo at least 15 times I still say ‘Ahhh’ every time I see that view. Its timeless, it never gets old. 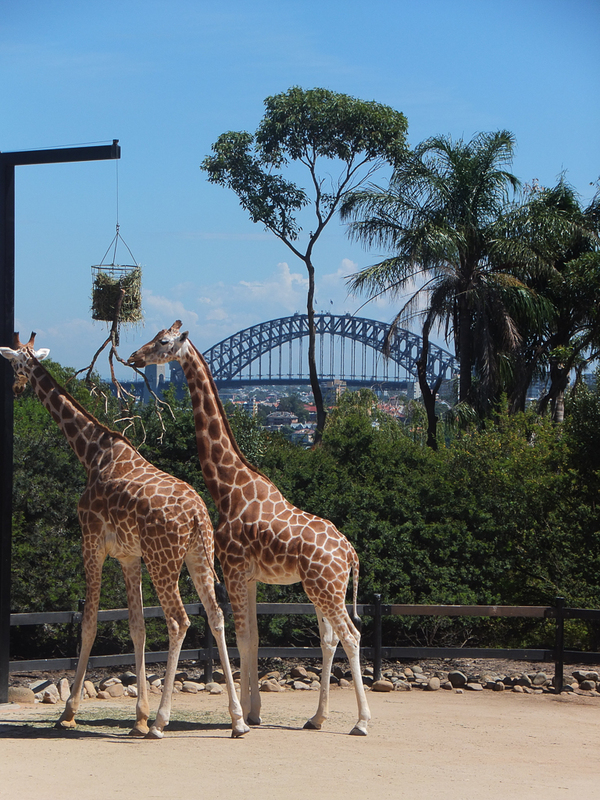 I was in Sydney in March 2014 & had another visit to the zoo. The photo above was from my recent visit although I have this photo from every time I have been there. It’s definitely a very Instagram worthy photo but aren’t there many of them in Sydney. Now I know I said I’m a Victorian but New South Wales has a very special place in my heart. In 2010 we relocated to Sydney for a promotion that Craig received. I was able to transfer to the Sydney office with my employment so work wise it all worked out great. The kids were young, 1, 3 & 5 years old but Sydney was a breath of fresh air for us, We loved it, the weather was fantastic & everything was new. He had great fun exploring & meeting loads of new people. 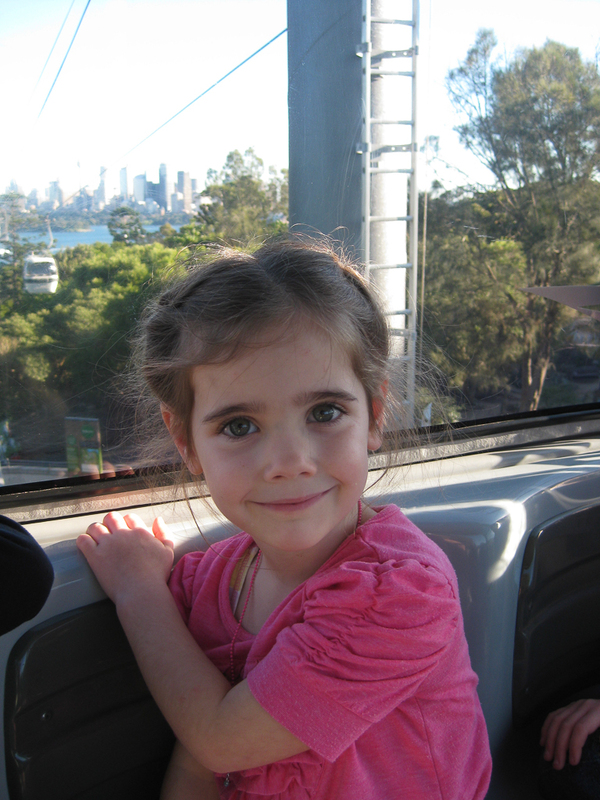 We returned to Melbourne at the end of 2012, we felt that the kids needed to be near their family & Sydney is so much more expensive than Melbourne. Whilst we were living in Sydney we purchased a zoo membership which allowed us free entry to most of the zoo’s in Australia. 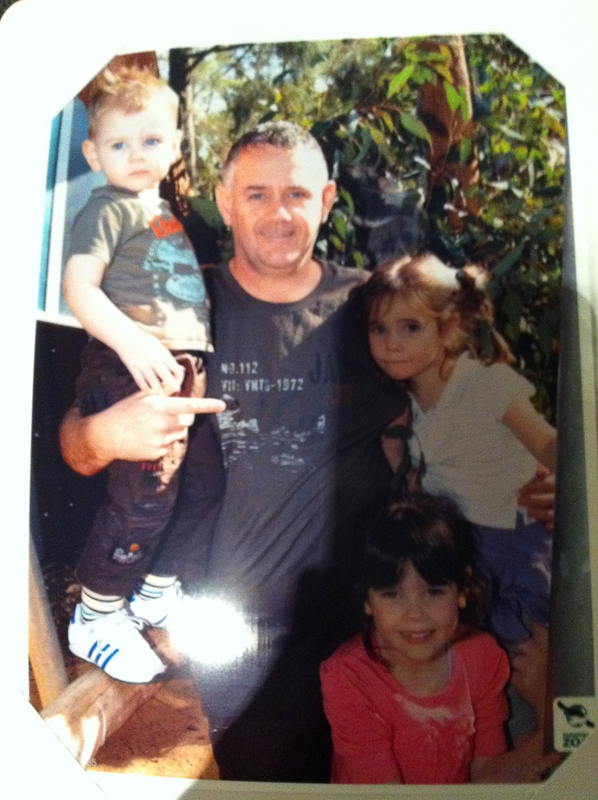 We still have a Melbourne Zoo membership, you pay for the adults only & the kids then get free membership. This is great value here as we have 3 affiliated zoo’s, Melbourne Zoo, Werribee Zoo & Healesville Sanctuary. 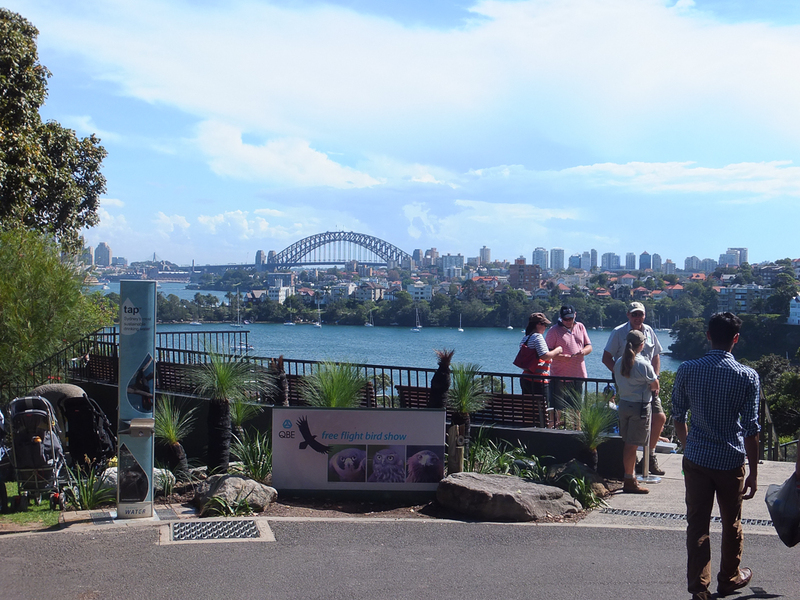 You can go to any of these as many times as you like & I also used that membership to get free entry in to Taronga which is quite a saving as zoo entry is $44 (adults) & $22 (child). The giraffe enclosure has the most amazing view, see below, I wonder if those giraffe’s know they have a multi million dollar view! The park is set on a hill & when you enter from the top it makes for an easy walk down. The breathtaking views continue around every corner of the zoo. You can enter from either the top or the bottom as many people catch the ferry across from Circular Quay. A down hill walk, least exhausting for the kids. 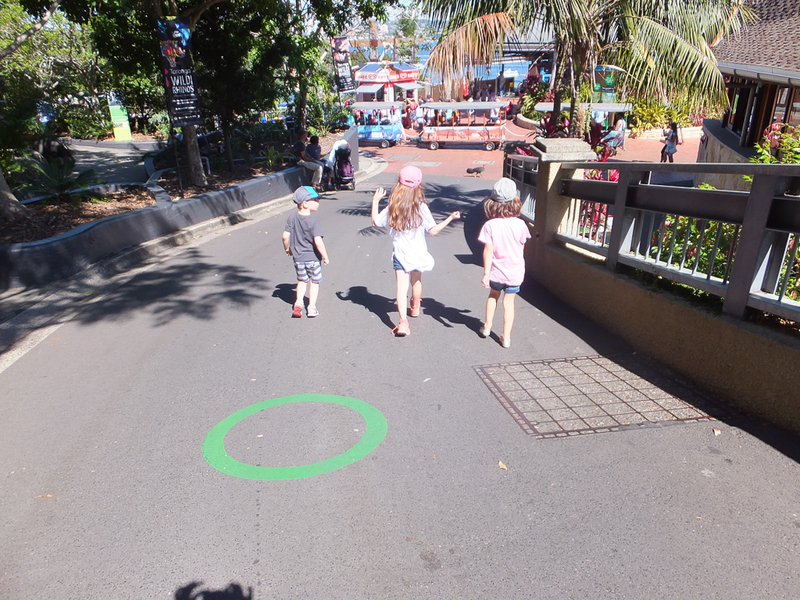 Every Sunday is Family Fun Day in Sydney, this allows families to get out & about on public transport very cheaply. If you were traveling with a family, all members would travel for $2.50 for the entire day. This included all bus, trains & ferries. We often went to the Zoo on a Sunday with our $2.50 tickets & zoo memberships. We would take a packed lunch & snacks & the only thing we paid for was the ice creams & the kids gift’s from the gift store as we exited. The Zoo memberships also included a 10% discount from the Zoo Shop. A couple of times we bought the kids an Animal Encounter. An Animal Encounter gives you a close up experience with either a koala, reptile or giraffe. We have done the koala & giraffe (at Western Plains Zoo in Dubbo) but I’m not to keen on the reptile encounter so we have given that one a miss. There not overly expensive ranging between $19.95 to $24.95. Get there early if you want to do this as they only accept a certain amount of encounters each day. 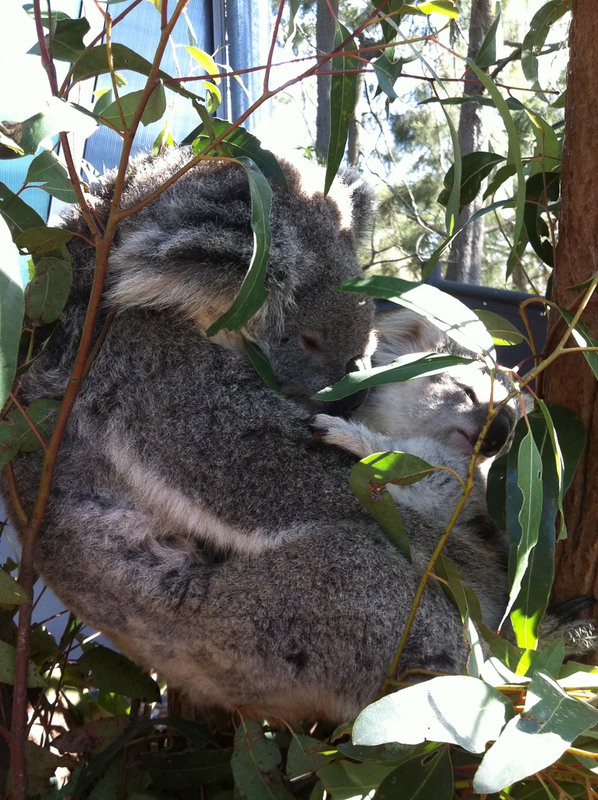 Closer pic of the koala behind them in the tree. The Australian Government does not allow people to hold the koalas for photos any more. I think these Animal Encounters are great & worth what you pay. The kids get so excited & the photos you will keep forever. My kids have fed a giraffe twice & still talk about it even though it was over 2 years ago. The seal enclosure has been recently renovated and the theatre for the seal show holds 950. 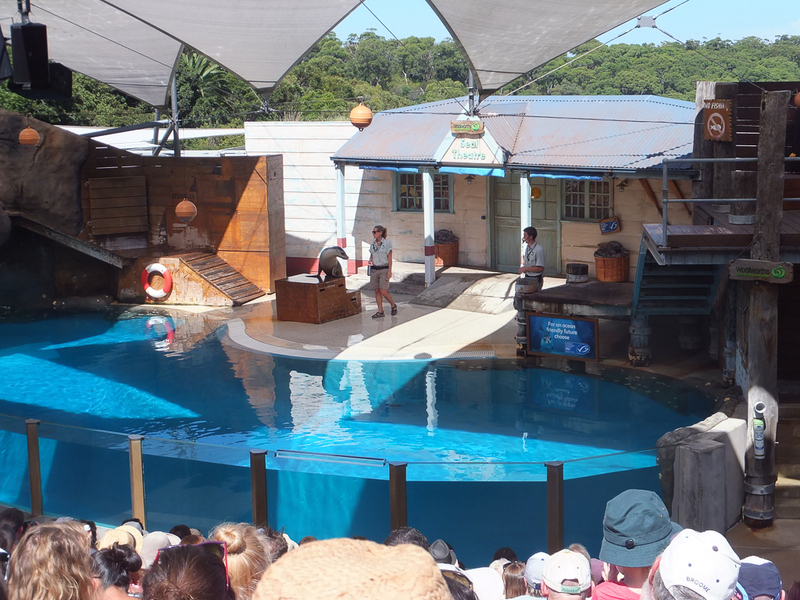 The seal show is twice a day & is always a hit with the kids even though they have seen it a few times. Tip for beginners, don’t sit in the front seats! I of course love the view from the theatre! 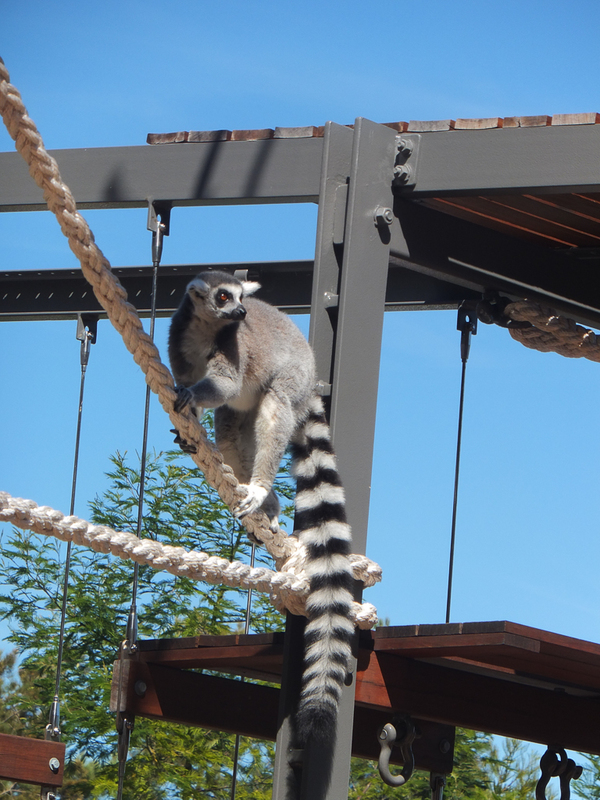 The most recent renovation is the Lemur’s enclosure, its a walk-through enclosure where you get close up with the lemur. 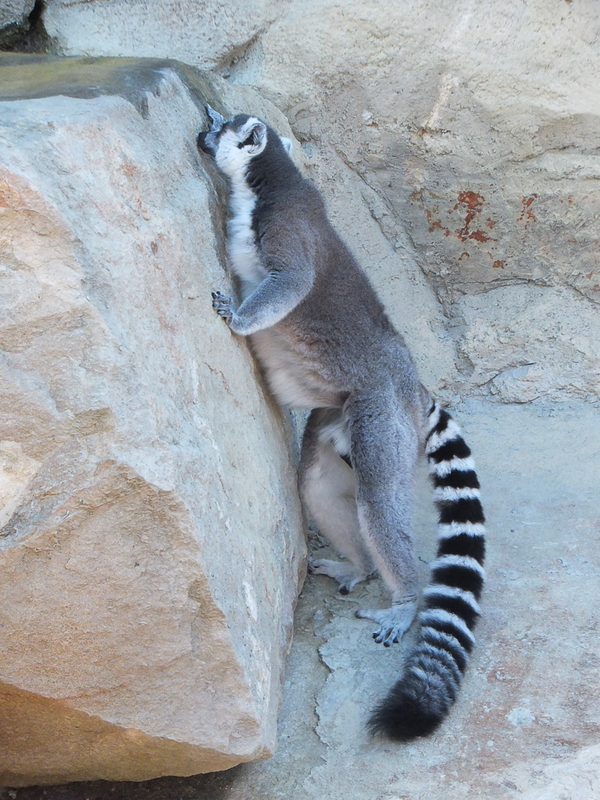 I was amazed how close we were to the lemurs. There’s also a kids playground with plenty of climbing equipment for those that need a little break from animal viewing. The Zoo has the usual animals there but when you are walking around it feels like every animal in the world is there. Alannah’s favourite is the seals, Keira’s favourite is the little penguins & Caelan’s is the meerkats. My favourite animals are the ones with the views, giraffe’s, elephant’s, seal’s & my most favourite is the free flight bird show. I love birds! Of course the view from the bird arena is amazing! Never get enough of this view! 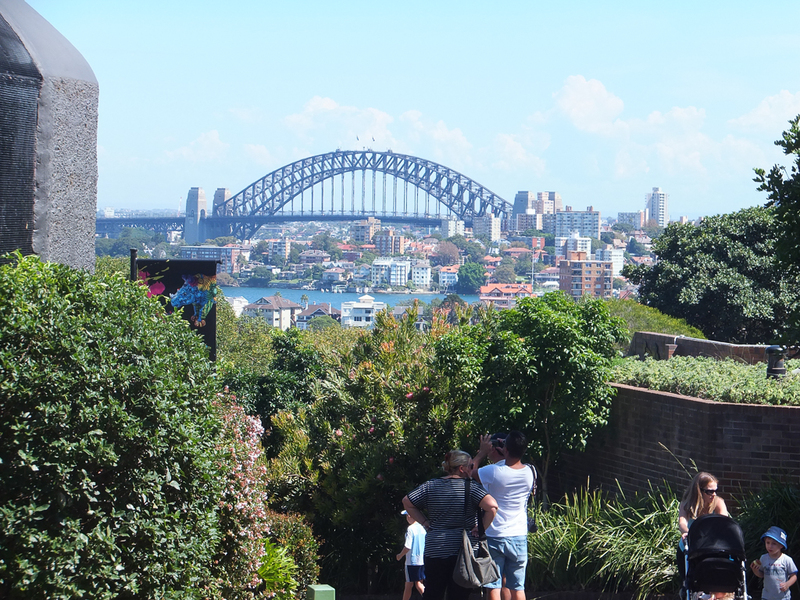 The best thing about Taronga Zoo is when you get to the bottom you don’t have to walk back up the big hill, Taronga provides a sky rail to ferry you back to the top. 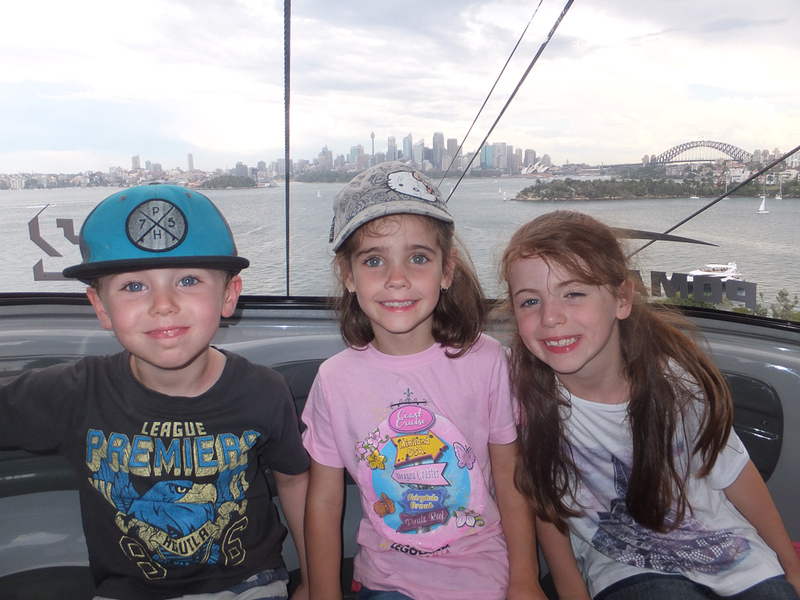 This sky rail is of course very popular with the kids & truth be known the view from the sky rail is just brilliant. Not a great photo of Keira & her BFF Isabella but the view is awesome! I just want to give a big shout out to Taronga Western Plains Zoo in Dubbo, we went there in 2011 & it is an amazing zoo. There were 9 of us & we hired bikes & rode around the zoo & found it to be a brilliant experience. We could have driven around but even though we had 6 kids under 7 we found the bike riding to be a great experience. 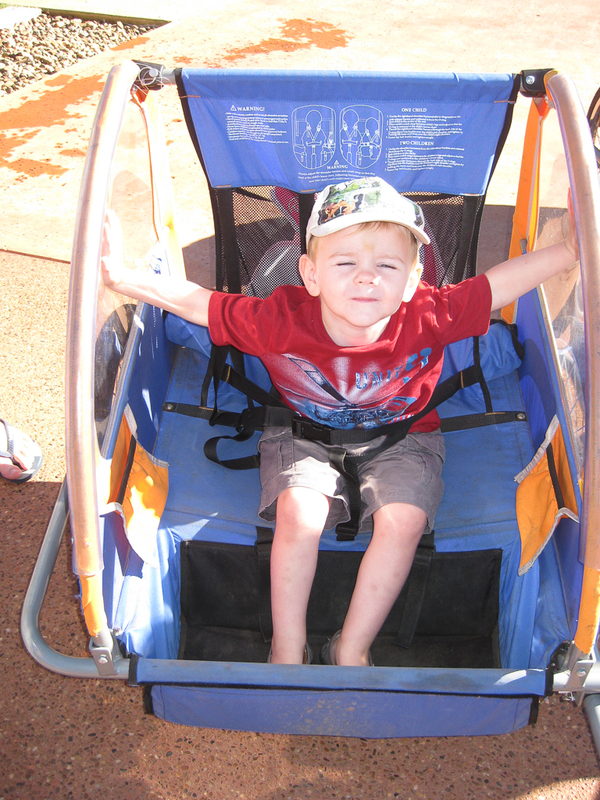 The 2 little ones were 3 years old so we hired carts that the kids could sit in & be driven around the park. Carts that sit behind the bikes. 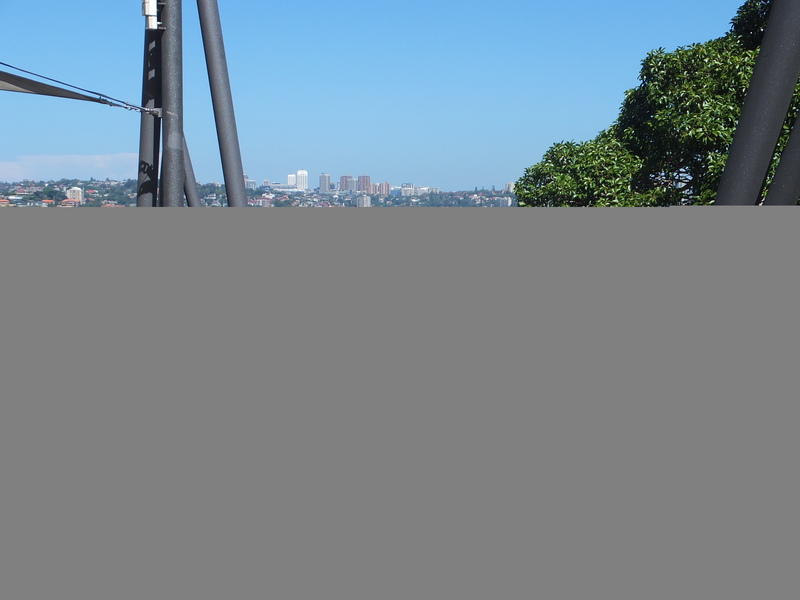 What kid doesn’t like the zoo, we get great value out of our Victoria Zoo memberships & whilst it might be a contentious issue I still vote Taronga Zoo in Sydney the best zoo in Australia, with Melbourne Zoo being a close second, of course!! 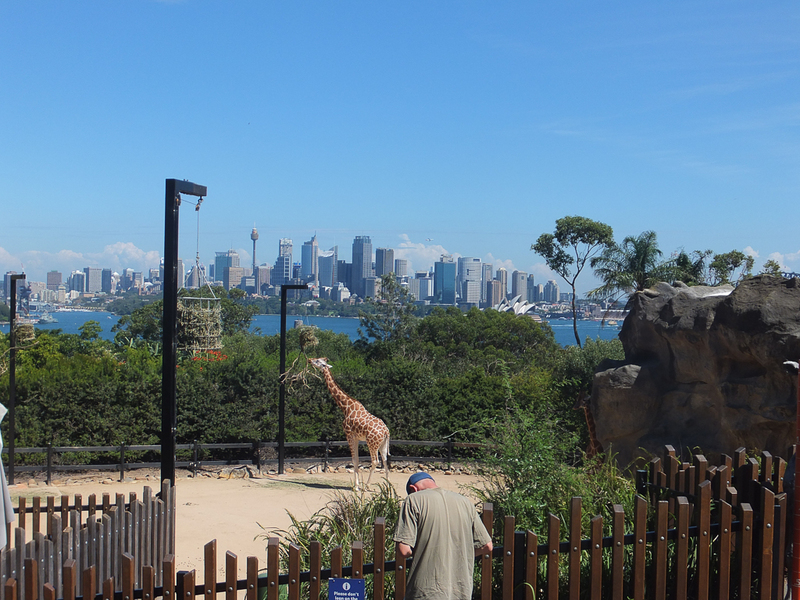 There are so many things to do in Sydney with kids but for me Taronga Zoo is number 1, I still love it and am happy to visit at any chance possible. 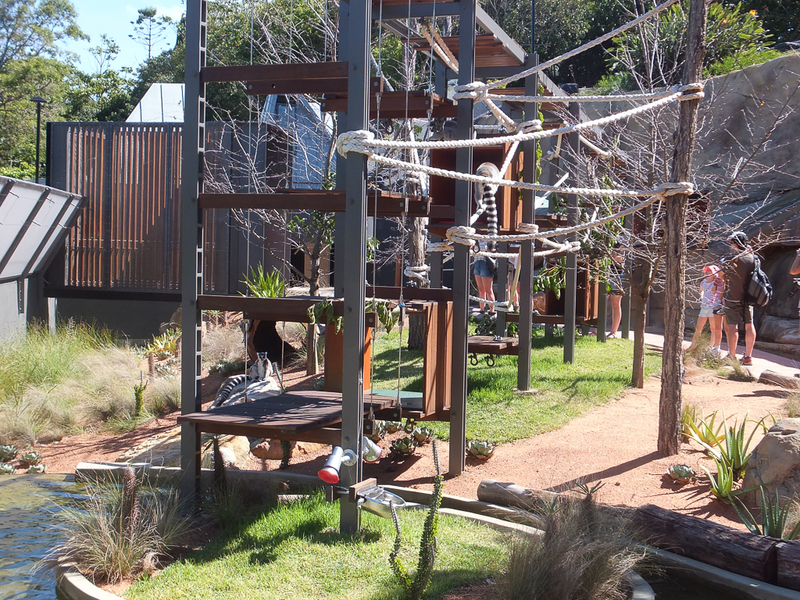 Thanks Craig, its certainly worth a visit as with Dubbo Zoo.